Alex McDougall, Bicameral Ventures Co-Founder is an integrative financial expert specializing in investing and advising across the full lifecycle of companies from early stage blockchain to some of the largest financial institutions globally. During a career with Bank of Montreal Capital Markets spanning the Fintech, M&A, and Financial Institutions Investment Banking teams, Alex helped lead the charge on several of Capital Market’s early blockchain initiatives and was recognized as a leader within the Investment Bank. Alex left BMO in early 2018 to co-found Bicameral Ventures, an innovative Venture Capital Fund focused on taking positions in exceptional early stage projects developing real-world business models on top of the Aion platform. 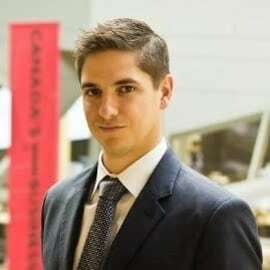 Alex earned his CFA designation in 2013 and was awarded multiple scholarships towards earning his MBA from the Rotman School of Management where he was a Bregman Scholar and mediocre, but enthusiastic, member of the Rotman Hockey Team.